Caroline Rustigian Bruderer has created a platform that allows her to provide a voice for a variety of philanthropies and social causes. 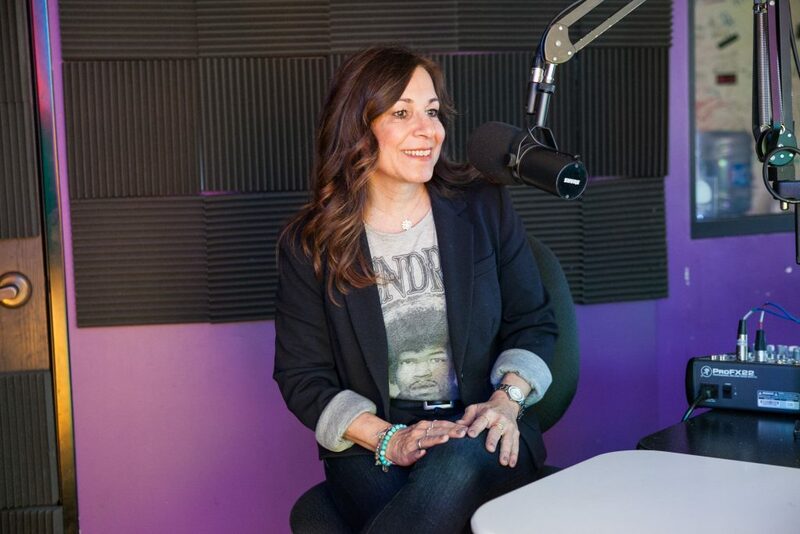 Each week, on Fridays at 8:20 a.m., Caroline Rustigian Bruderer’s show airs on Laguna Beach’s KX 93.5 radio station, and there’s a reason why it sounds like she was, to put it simply, made for the job. The host calls herself a lifelong champion of charities (with a particular interest in women’s and environmental issues, and music-related charities), and “Caroline’s Cause Corner” gives voice to social causes and philanthropies by interviewing the people behind them. And, boasting more than 20 years of experience with her own social media, marketing and public relations consulting firm, K-Line & Co., Rustigian Bruderer is no stranger to the idea of enhancing media awareness for causes, people and organizations about which she’s passionate. “Caroline’s Cause Corner,” which began in 2013, initially airing every other week, turns 5 this year. 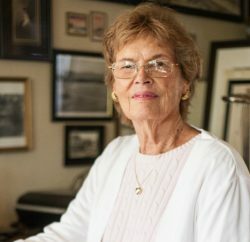 Today, Rustigian Bruderer estimates that she’s conducted roughly 200 interviews that have brought awareness to people that are dedicating their time to helping others—in Laguna and beyond. Here, we take the mic and get to know Rustigian Bruderer and the path that led her to create a powerful platform in our community. 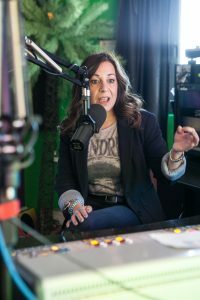 How did you end up hosting your own show on KX 93.5? One of the things that I love about Laguna is that there are so many interesting people that work here that also work in the entertainment industry. When Tyler [Russell] started the station, I jumped right in as a volunteer marketing consultant to help get the word out. I was really excited to have our own station here. … One day, … I was doing some research about the nonprofits here in Laguna and I thought, “You know, I’ll start a nonprofit show.” One of the things that was clear to me about working with nonprofits … is that there’s just not a lot of resources—marketing resources—that these nonprofits have, so there’s not a lot of opportunity to get exposure. Tell us about some of the nonprofits you have featured that really touched you. And … [I recently] interviewed [filmmaker] Greg MacGillivray, and he was awesome. … He grew up here—it’s just his town. I love those people. Not everyone that I interview is from Laguna, but the people I interview, they’re all just really great people. In what ways has the show made a difference for local nonprofits and the community in general? When Greg said to me, “I love your show. Thanks for doing it,” I was like, “Whoa, that’s totally cool.” I think that, no matter what, … [my show] gives these organizations a platform … so they can get their story out. … It’s a podcast, so they’re able to use that [recording] … on social media and share it with their communities and things like that. … They work so hard at what they do. It’s nice to have a little recognition for it. Why do you think local radio is such an effective communication tool today? You know, when you listen to the station and hear people talking about what’s going on, it’s a way for everyone to feel unified—it’s a real community effort. 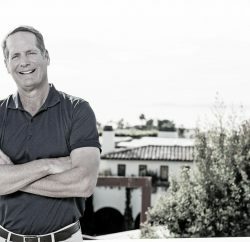 What do you think makes Laguna such a special place to live? The amount of nonprofits [here], you know, is directly correlated to the number of people who want to make a difference. … I love raising my family here because I feel like it’s the best of both worlds. 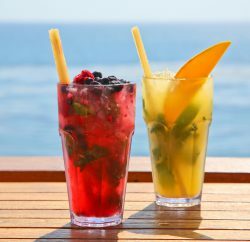 It offers a lot of amazing benefits that you would only find in a city, but you’re on the beach here and have the great weather. I love my bubble.